The post Buying art from the heart appeared first on popupart.com.au. How do we find art we love? An artist we love? Why do we fall in love with a particular work? Why is it that we want to spend our hard-earned money on a particular artwork as if we can’t live without it? I’ve been pondering these questions since doing a radio interview with Derek Guille from ABC Central Victoria along with Sharon Seyd, Founder of Jumpleads Not for Profit and curator of the Small Works From a Big Place exhibition currently travelling around Central Victoria. As a musician, photographer and artist himself, Derek asked us some thought provoking questions that I’ve been musing since. Finding art and artists is a bit like falling in love. It can be love at first site or happen gradually over time but the physical and emotional reactions can feel similar. Knowing an artwork is for you can be an intense emotional, physical and spiritual experience. As an artist, psychologist and budding art collector myself I wonder whether I am attracted to certain works at a moment or stage in my life because the work reflects some potential within me that I need or want to develop and express. Or maybe it is embodying a feeling I don’t want to consciously face. The unconscious within all of us is very powerful. In my experience it has a strong part to play in the enjoyment of and purchasing of art. And it wants us to grow and develop. Its main purpose is to help us move towards wholeness and joy no matter what is happening consciously or in our external world. I believe it is worth trusting so I’ve learnt to tune in to my body’s signals when viewing art. Try to sidestep your analytic mind and go deeper. What piece do I keep going back to? Does it keep coming back into my mind when I am away from it? Which work leaves me feeling hopeful or joyous or exquisitely sad at a profoundly peaceful level? Does the work leave me feeling curious and uncomfortable? Ultimately don’t think too much. Go with what your body and gut tell you. Don’t get caught up in what other like or have but stay true to yourself. Art is about relationships including the relationship with yourself. I cannot stress enough how important it is to buy art you personally love even if it will be a gift. It is a reflection of the deeper you and this is a gift in itself. To find an artist you love, I encourage the process of playful exploration. Visit new spaces in your local area. Scour the newspapers for art events. 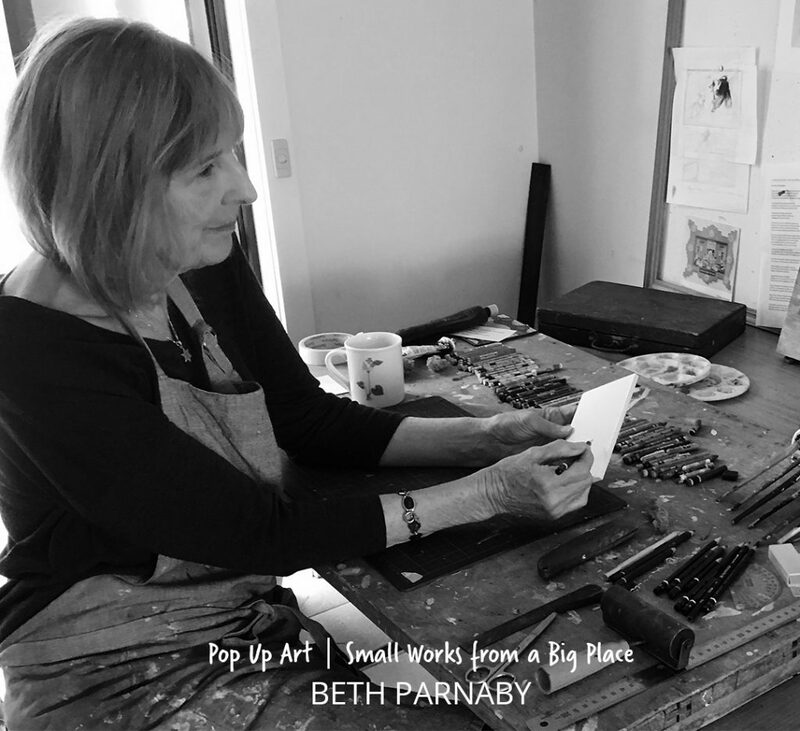 In my region of the Macedon Ranges there are several Open Studio programs to explore. Visit small and large galleries. Borrow or buy art books. Go to your local art festival. Where ever you go, stay present to your feelings and bodily reactions when you stumble across art. They will be your best guide. Is your heart racing? Do you feel excited? Do you suddenly hold your breath in awe of the colour, the skill of the artist, curious about how they created the piece or what it could mean? Does it take you to a time of meaning and connection in your life? Are you moved to tears or anger? Even more negative emotions could mean you need to live with a certain artwork. Feelings like envy or hatred can often be triggered when we love an artwork. It is common to feel dismay when we envy another yet envy can be a healthy road map to our true selves or our untapped potential. If we can notice it, ask ourselves what it is telling us, then we can grow and move forward. By supporting local artists – any artist in fact – we are honouring ourselves indirectly. By celebrating the success of another we overcome the power of the ego and connect with our truly loving potential. And artists love and need your support. When I witness someone falling in love with my artwork I feel grateful and privileged. It is so moving to watch. Being in the position to facilitate this type of deep connection is a great honour as an artist as I know it has the potential to heal and transform that person. Buying local art also financially supports the artist to buy materials and supports them to take up opportunities to enhance their practice. To me art is a practice and I will do it even when the art isn’t selling. I do it every day, it is what I do and who I am. But knowing my practice is supporting and nurturing others fuels and inspires me to continue making art. Art matters. It makes a difference. From my experience as both an artist and psychoanalytic psychotherapist, art starts conversations that otherwise would not have happened. It connects us more deeply to ourselves and others. It is a bridge for our unconscious which wants the best for us. It may even have big things in store without our knowledge. So why not start the heartfelt process of finding the art and artists you love? Take the leap. Trust me, you won’t regret it. To follow my artmaking process and purchase artwork on-line go to www.helenfraser.net.au or Instagram @helenfraserartist. Email helenfraserartist@bigpond.com for enquiries, commissions, custom artworks and collaborations. The post Introducing Local Artists appeared first on popupart.com.au. “I was born in Hobart, Tasmania and like most people, had a love for drawing from a very young age. Taking every opportunity to sketch whether it be drawing freehand or copying the latest Andy Capp, Obelix and Asterix cartoons or the daily sketches of football and cricket players in the Hobart Mercury Newspaper. I find inspiration from many of the old master artists such as: Rembrandt, Van Gogh, Caravaggio, Salvador Dali, John Singer Sargent as well as a number of more contemporary artists such Norman Rockwell, Odd Nerdrum (who I also count as an old master), Catherine Abel, Jandamarra Cadd, Sergey Gusev, Yupari, Greg “Crayola Simkins and Todd Scherr just to name a few. “Drawing on my interest in graphic design, I create works of whimsical and idiosyncratic symbols. These symbols are analytical and playful responses to our visually loaded urban environments. With autobiographical themes and a sleek commercial appearance, my symbols revel in the styles, colours and meanings of commercial and information graphics”. The post small works from a BIG PLACE – December update appeared first on popupart.com.au. 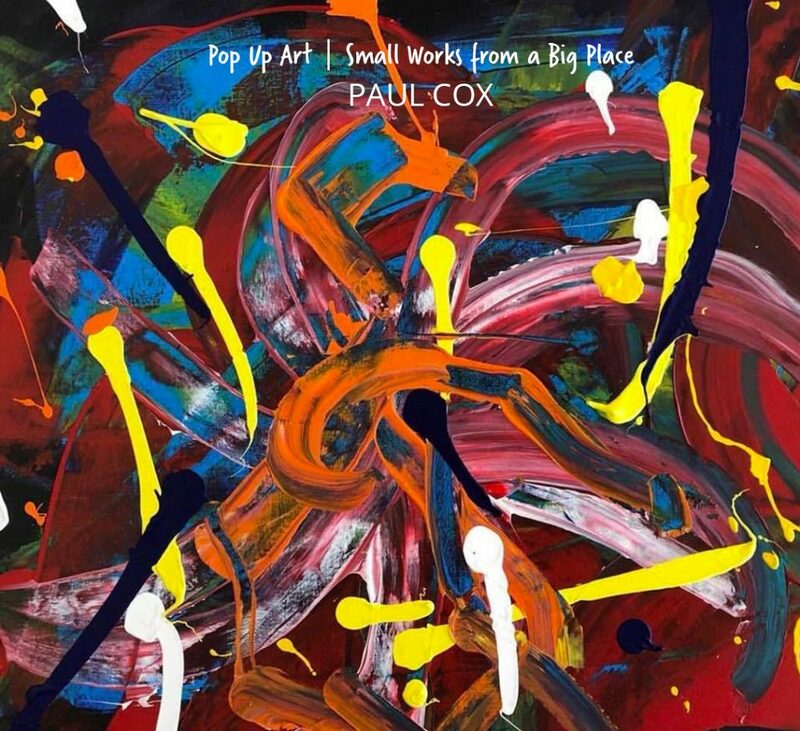 We have had an overwhelming response by artists to participate in the small works from a BIG PLACE exhibition – receiving in excess of 380 pieces of work [from 130+ artists]. From these 249 pieces were selected. Artwork selection was based on theme, style and how work from different artists could be exhibited to compliment one another. This inaugural exhibition combines a variety of styles, themes and expertise – as was directed and outlined by artistic communities [of Macedon, Hepburn, Mount Alexander and Hepburn] in previous consultations. A basic facility now exists for future shows and future exhibition themes may be up for discussion in 2019 – depending on what’s possible for us, moving forward. 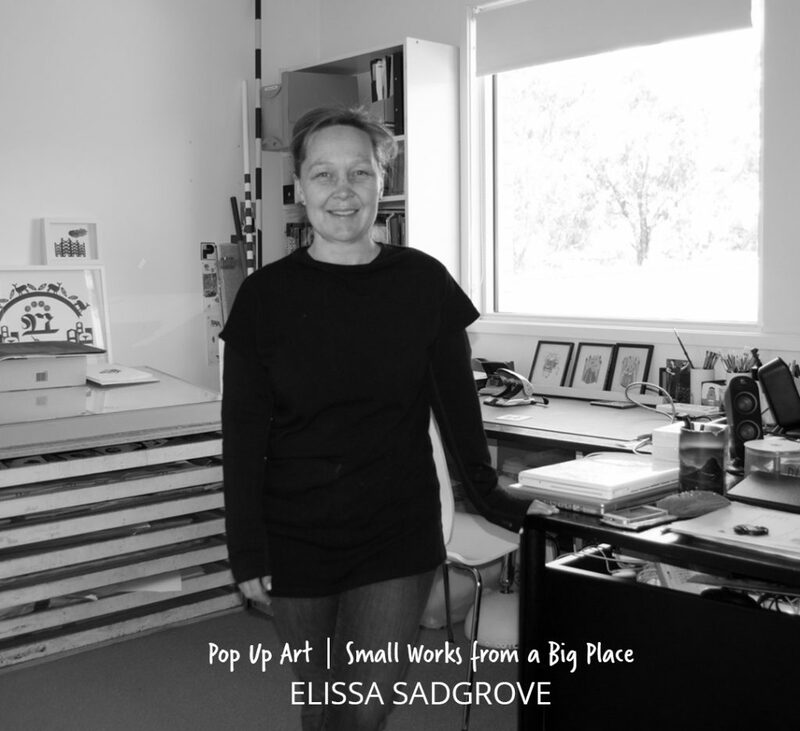 The exhibition has so far successfully been placed at Riddells Creek Railway Station and Castlemaine Railway Station. The recent Community Gathering in Castlemaine attracted 100 + artists and supporters to celebrate the achievements of this project so far. This also provided a moment to acknowledge what’s possible for these communities now and looking forward, and how direct support makes a difference. The next stop for the exhibition is Bendigo Railway Station, on show from 1st December to 10th December. Visit the exhibition and spread the word, with an emphasis on buying art to strengthen artists and our creative communities and enhance the ripple effect in this. The post Get REAL for Christmas appeared first on popupart.com.au. Visit the small works from a Big Place exhibition [find out when and where to visit the exhibition here]. Take note of the number on the art you like and locate the artwork number in the catalogue here. Find the artist contact details from the catalogue and link directly to the artist contact page. Contact the artist directly to purchase the art you like. Buy a frame yourself, or take it to a framer. Give it to your friends or family as a special Christmas gift. You might like it so much, you want to keep it for yourself! The post Find your art, find your artist appeared first on popupart.com.au. Central Victoria hosts ‘small works from a BIG PLACE’: a visual arts exhibition that is a travelling feast of miniature art works, from a collective of 130+ Central Victorian artists. Curated and presented to a high standard, this exhibition is showcasing the work of over 100 artists. It will ‘pop up’ at different destinations along the historical railway line from Melbourne to Bendigo from 8th November to the 10th December and then again in the first quarter of 2019 in Bendigo and Castlemaine. The general public are encouraged to “find your art find your artist” by visiting the exhibition, finding the artwork they like, and contacting local artists via https://www.popupart.com.au/artists. Mari B-Li Donni is a multi-disciplined visual artist and art project co-ordinator who works predominantly in ceramics, but also alternates between photography, painting, sculpture and installation work. “The project is made possible by support from great partners” says Karen Corr. They are: the Australian Government’s Building Better Regions Fund; City of Greater Bendigo and Macedon Ranges Shire Council. It is also supported by many other local organisations including V/Line, Mount Alexander Shire, La Trobe University and Bendigo Marketplace. The post small works from a BIG PLACE | September Update appeared first on popupart.com.au. A quick update from us to you! Applications have now closed for small works from a BIG place. We’ve had 320+ EOIs – including 190+ artists, who have completed applications to exhibit. All this was received in just under 30 days! Over and above this, 63% have said they would like to be part of an ongoing professional collective, while 23% would also like to contribute to the management of this collective. All Central Victorian communities are well represented in the applications, with a few ring-ins as far afield as Torquay. Quality of artists – pretty darn good overall, with some amazing and heartwarming stories in the mix. Applicants will be notified soon after – by Friday 28th September latest. More soon, or we’ll see you at the exhibitions! The post Central Victorian Artists – get on board! appeared first on popupart.com.au. Professional, practising and emerging visual artists are invited to participate in a group exhibition “small works from a BIG PLACE”. “We’re working to broaden awareness and expand potential to sell artwork from this region to new markets” says local organiser Karen Corr. Artist applications are being requested now and will be open until 21st September. “The project team is hoping to receive and select 100-200 small art works” says Kevin Pierce, who will be designing and building a special purpose facility to showcase the works. small works from a BIG PLACE will be a travelling feast of miniature artworks from a collective of Central Victorian artists. Curated and presented to a high standard, this exhibition will ‘pop up’ at different destinations along the historical railway line from Melbourne to Bendigo in November and December this year. The project is made possible via an Australian Government Building Better Regions Fund Community Investment grant, and partnerships with the City of Greater Bendigo and Macedon Ranges Shire. It’s also supported by many other local organisations including V/Line, Mount Alexander Shire, La Trobe University and Bendigo Marketplace. To participate, artists need to submit an expression of interest by 21st September. Interviews, quotes, high resolution and additional images are available on request. The post small works from a BIG Place – more information appeared first on popupart.com.au. “small works from a BIG PLACE” is a travelling feast of miniature art works from a collective of Central Victorian artists. Small art works, curated and presented to a high standard, will ‘pop up’ at different destinations along the historical railway line from Melbourne to Bendigo. This group show is taking art to people, allowing broad public interaction with local art and arts practice. Creativity and innovation are essential to the viability of regional towns. Supporting practicing artists provides a cornerstone for the development of creative communities. Showcasing art gives the audience fertile stimulus for thought, activates interaction and encourages imagination. “small works from a BIG PLACE” aims to grow audiences and encourage local communities to invest in local art and artists. 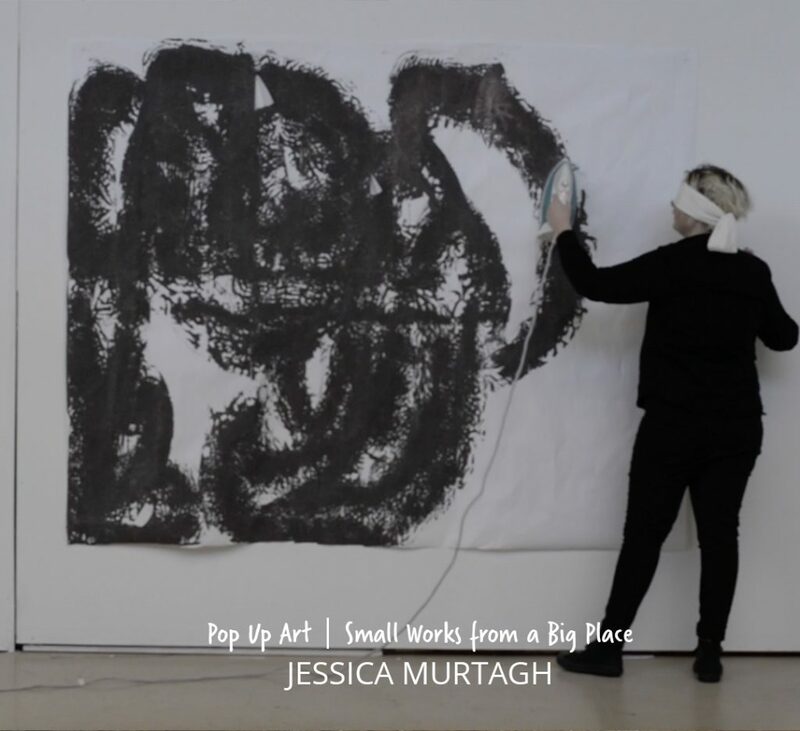 Pop Up Art aims to coordinate and consolidate an arts collective of 200 Central Victorian Professional Visual Artists. The works will be selected according to criteria developed via community consultations in 2013 + 2014. Participation, including council and community support, has been confirmed by the three neighbouring Shires of Macedon, Mount Alexander and Greater Bendigo. Based in effective arts business practice, artists will be organised under one strong ‘brand’ that is linked to the destination of Central Victoria. This provides an opportunity for greater exposure for artists and the townships of this region, effectively telling the story of the diverse creative communities that enrich the region. “Small works from a BIG place” will contribute to collective foundations in order to equip the future delivery of new programs, initiatives and exhibitions. This can create the potential for ongoing opportunities to build upon creativity and innovation within local communities. By providing business frameworks for best practice, this initiative will assist in building the capability of individual artists to become market ready. “small works from a BIG PLACE” will strengthen amenity, connectivity, local interaction and create a community hub atmosphere at the V/Line stations, as well as actively support the regions arts community as a whole. The post Feasibility and Consultation Reports appeared first on popupart.com.au. Research and development for a Pop Up Art social enterprise model has been undertaken over the past five years in partnership with Mount Alexander, Macedon Ranges and Hepburn Shires, City of Greater Bendigo as well as Regional Development Victoria. This has included extensive focused consultation with artists across the region, reported in the preceding Pop Up Art Consultation Report. The Feasibility Report draws on the findings of that consultation, putting detail to the various aspects of the Pop Up Art model and the supply and demand contexts in which it positions itself. It has been presented and approved by Mount Alexander, Hepburn and Macedon Ranges Shires as well as Regional Development Victoria. The post Profile Building for Creatives appeared first on popupart.com.au. It gives focussed support to provide guidance in the preparation of written, visual, digital & presentation materials (not inclusive of visual portfolios). A swag of useful promotional ‘tools’ that can be applied to a variety of professional contexts. Specifically, the documentation necessary to respond to opportunities like: grants, selection to programs, applications, further education & training, art galleries etc. Complete the course by simply clicking on the Unit links above and working through each unit. Let us know in the comments below how you go!